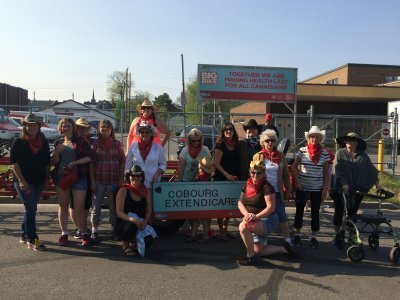 Find out what’s happening at Extendicare Cobourg. Don’t miss anything. Check in regularly. NORTHUMBERLAND COUNTY, Wednesday, February 6th, 2019 – Acute care hospitals like Northumberland Hills Hospital (NHH) are designed for people with urgent or acute health care needs. In recent years, however, acute care hospitals have become a fallback and less-than-ideal ‘home’ for those awaiting an alternate level of care—in most cases, a long-term care bed—as the need for these spaces has exceeded the current system’s capacity. Extendicare was founded in 1968 by Harold Livergant a dedicated and passionate health care visionary and his business partner, John MacKay. Mr. Livergant committed his life to improving the quality of senior care in Canada and, 50 years later, our organization continues that commitment as you will see in the pages of our 2018 Quality and Social Responsibility Report. MARKHAM, ON – (September 7, 2018) – Extendicare announces the construction of its’ new retirement community in the city of Barrie, Ontario, under the umbrella of its retirement brand Esprit Lifestyle Communities. The residence will be a six-storey non-combustible building with a basement. It will have 124 suites, comprised of studio, one bedroom and two bedrooms suites. There will be Independent Supportive Living, Assisted Living and Memory Care suites. MARKHAM, ONTARIO, August 21, 2018 – Extendicare is celebrating 50 years of helping people live better with celebrations across the organization. During the month of August, celebrations were held across the country to mark Extendicare’s Golden Anniversary. In Ottawa, Mayor Jim Watson and Extendicare’s CEO, Tim Lukenda participated in festivities at New Orchard Lodge, our first home. These special guests joined residents, staff and their families in a carnival complete with animals, snow cones and dunk tank. At Extendicare, we realize that employee engagement is essential to the success of our organization. By engaging team members, we ensure that they remain motivated and are up to date with professional practices, without having to depend on supervisor communication, which in turn, helps us fulfill our mission of helping people live better. To enhance employee engagement, Extendicare is undertaking a unique project using the WordPress platform to create a new intranet. It will be accessible to all employees and will allow mobile access through an app. 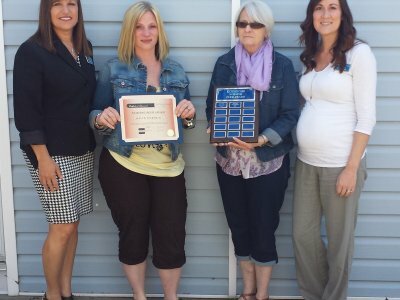 Extendicare Assist hosted its 7th Annual Charity Golf Classic, in partnership with the Alzheimer Society of Canada to improve the quality of care and life for Canadians living with Alzheimer’s disease and other dementias in long-term care homes. It was also with great excitement that Extendicare Assist contributed to the launch of the Extendicare Foundation. MARKHAM, ONTARIO, June 8, 2018 – Extendicare Inc. will celebrate its 50th anniversary on August 7, 2018. We have been helping people live better for 50 years and we look forward to 50 more years of providing care and services to seniors across Canada. To recognize this important milestone, all Extendicare homes across the country will hold celebration events on Tuesday, August 21, 2018 around 1:00 pm EST. Long-term care is what we make it. Residents, families, caregivers, the community at large – everyone has a role to play. If we open our eyes to the limitless potential just waiting to be tapped, we can all be uplifted together. MPP Glenn Thibeault made an announcement at Extendicare York Sudbury about creating 54 new long-term care beds in Sudbury to help seniors better access high-quality care and continue to live happy and healthy lives.